With so many point and shoot cameras on the market these days, it can be a daunting task to figure out which is the best point and shoot camera under $500 fit for you and your personal requirements. How do you know if the camera is made from quality parts that are sourced appropriately and will actually function like the product description when it shows up on your door? How can you trust a company you have never even heard of and have zero experience with? Where do you even start with so many point and shoot cameras on the market? Well, luckily for you, we have gathered a list of our five picks for best point and shoot camera under $500 on the market this year. When it comes to finding the best point and shoot camera under $500 for you, there are many things to consider, such as your shooting style, your photography or videography needs and of course, your budget. The below list is a mixture of sizes, styles and prices, but the one thing they have in common is quality. We hope this dutifully researched information matches your prospective point and shoot camera dreams with the ‘perfect-for-you’ camera that you will cherish for years to come. When we choose our top picks for a popular product online, especially such an important purchase like a point and shoot camera, we search for one key factor: transparency. We hope this list provides you with accurate, well-thought out and valuable information to assist you in finding the perfect fit in a new point and shoot camera under $500. The Canon PowerShot ELPH 360 HS offer a 12x optical zoom with optical image stabilizer that assists the user of this point and shoot camera to capture stills with effortlessness and tractability. This PowerShot camera is affordable and offers, in our opinion, the most reasonably priced and best quality point and shoot camera on the market today. The Canon PowerShot ELPH 360 HS offers amazing built-in WiFi and NFC capabilities that make it super simple to transfer your images and videos to your smartphone or tablet. Video features of this PowerShot are quite extraordinary for being such a small point and shoot. It offers 1080p HD video and 20.2 megapixel CMOS sensor that fuses with the DIGIC 4+ Image Processor to assist in offering the most quality images in both high and low lights. The screen on the camera offers a large 3.0-inch LCD viewfinder with wide-angle ability. A hybrid auto feature allows the camera operator record up to four seconds of video prior to capturing an image so that you can automatically bring together the clip and still for a quick daily video recap – AWESOME! There is a very versatile Creative Shot mode that uses color, lighting and composition to create unique images with a super artsy tinge. The Canon PowerShot ELPH 360 HS is by far the epicenter of quality and affordability when it comes to the best point and shoot camera under $500. This super easy to use and super affordable camera is by far one of the best point and shoot cameras under $500 on the market this year. The Sony DSCW800 offers all you need to take pictures and videos! Try to show me a better deal on a point and shoot camera. The Sony DCSW800 offers 20.1 megapixels with a super HAD CCD sensor for wonderfully detailed and clear images, all complete with blink detection. The classic Sony lens offers 5x optical zoom and a 360-degree sweep panorama for those hard to catch wide-angle shots. This specific model offers a blur reduction with its steady shot image stabilization hardware. Capture stunning videos in 720p HD mode and keep those memories encapsulated forever. There is an easy mode too on this camera, which makes for simple shooting for even the complete photography newbie. A built-in direction guide helps users easily navigate all the Sony DSCW800 has to offer and you can easily sweep through the camera’s function to find what you need. The Canon G9 X is a quality pick when choosing a point and shoot camera under $500. The G9 X offers a 1.0-inch, 20.1 Megapixel high-sensitivity CMOS sensor with a Digic 7 processor. This versatile and travel-ready camera fits in your pocket, takes amazing photos and offers an unbeatable lightweight digital camera. 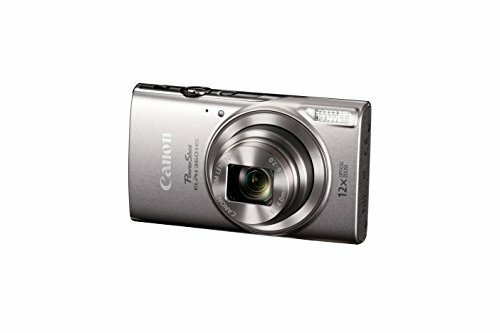 This camera has a 20.1 megapixel 1 CMOS image sensor that assists in capturing the most high-quality images and videos. The sensor itself ensures a full spectrum of light and dark are captured with its vigorous range of shooting ability. The camera boasts a fast shutter speed that ensures a lower risk for blur and fuses this with a high ISO for great low-light environments. The camera boasts a model almost exactly the same as Canon’s earlier S120, besides the huge fact that the sensor is three time the surface area. The 3x zoom range is not optimal for some situations, but if you are looking for a slim, lightweight and easily transportable camera with professional capabilities, the GX-9 is a wonderful candidate. The 28-84mm range covers a majority of photography and videography needs while the 5cm macro and f2 aperture allow for decent close-ups and comparatively shallow depth-of-field outcomes. The Canon G9X allows the user extreme WiFi connectivity with the G9 X’s enhanced WiFi experience. The model is also NFC dynamic so it can fire-up well-matched phone’s WiFi and connect to it without even having to press a button even if the camera was originally powered off. The user friendly Canon’s Camera Connect phone app is also very easy to use and offers full manual control over the exposure of your shot. The size of the Canon GX-9 model allows for just a few basic but versatile buttons. You have the devoted Play and Power buttons, a model dial on the right side of the top surface and Canon’s customary shutter release with a zoom collar. On the rear surface of this small model is where the real magic happens. If you can get over the fact that there is no cross keys or control wheel – what was that? Yes, this camera is lacking cross keys and a control wheel, but these four buttons on the rear right side of the camera have all you need to accomplish your photography or videography goals. The G9 X is a perfect option for an affordable and reliable point and shoot camera. We hope the above list helped you narrow down the best point and shoot camera for under $500 on the market today. Whether you have been ready to make a purchase for some time or if your search for the best camera has just begun, these three cameras are all very viable choices for point and shoot cameras. 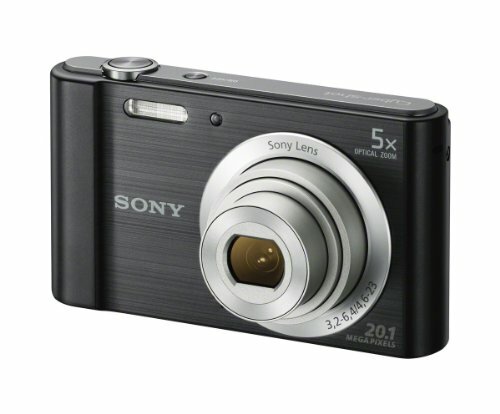 If you are looking for a more affordable option, the Sony DSCW800 is the proper choice. If you have a little more to spend, definitely go with the Canon Powershot GX 9 or the Canon PowerShot ELPH 360 HS. We hope this ‘best of’ guide helped you break down the best point and shoot camera under $500. From Canon to Sony, these three are the leaders when it comes to reasonably price and reasonably sized cameras with the point and shoot qualities you are looking for. Take our advice and choose one of these cameras to add to your camera family.